Are you worried about missing teeth? Do you wear dentures that have become uncomfortable and troublesome? 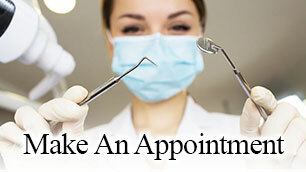 Then you need to speak to a dentist and discuss the idea of getting some dental implants. That is the best strategy to resolve your issue in many instances, and our experts at Streamline Dental Specialties are here to help! Getting dental implants 89117 is an excellent idea because they blend in with your remaining teeth and never look out of place. It’s a long-term solution that is going to stand the test of time and ensure you can regain some of your confidence. Dental implants are made using titanium, and so they are not going to break or deteriorate in the same way as your natural teeth. It’s one of the industry’s most impressive advancements during the last few decades, and so you should make use of dental implants as soon as possible. There are three steps to getting dental implants 89117, and we’ve taken the time to outline them below. Hopefully, this information will set the record straight and ensure you don’t face any unexpected surprises when you book your appointment and come to visit us at Streamline Dental Specialties. Our dentist will use surgical techniques to fit the implant into your jaw. Before you undergo this procedure, be sure to listen to the dentist’s advice because they may ask you to avoid hot and stodgy foods for twenty-four hours before you arrive at our premises. Next up, you have to wait for the area to heal using osseointegration. You will notice that the bone in your jaw grows around the implant, and that helps to ensure it is fixed in place. In some instances, you might have to wait a few months for the jaw to heal before our dentists can add the replacement teeth. However, it’s always worth the wait! Lastly, our professionals will replace your missing teeth by creating brand new ones just for you! We will make sure the new tooth matches the size, colour, and shape of the other ones left in your mouth, and so nobody will ever tell the difference. You can start smiling correctly again, safe in the knowledge that your teeth look fantastic! If you would like to go ahead and start the ball rolling on dental implants 89117, please contact us via this website, and we’ll get things underway. Feel free to ask any questions you might have when you give us a call because our staff are well trained and more than capable of providing any information you might require. 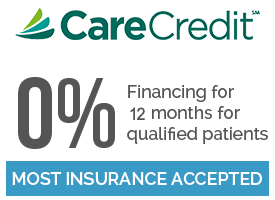 Our goal is to make the process as straightforward and hassle-free as possible for every patient, and so we will always go the extra mile to ensure you’re 100% comfortable and satisfied with any procedure before we begin.